The group decided on playing at Wilco. I was up early and in the mood for some practice. So I arrived at 8:40. I was able to get in a complete round of golf before everyone else was ready to start at 10. For as long as I have been complaining about the lack of necessary improvements to this course, I was surprised to see one improvement actually made. 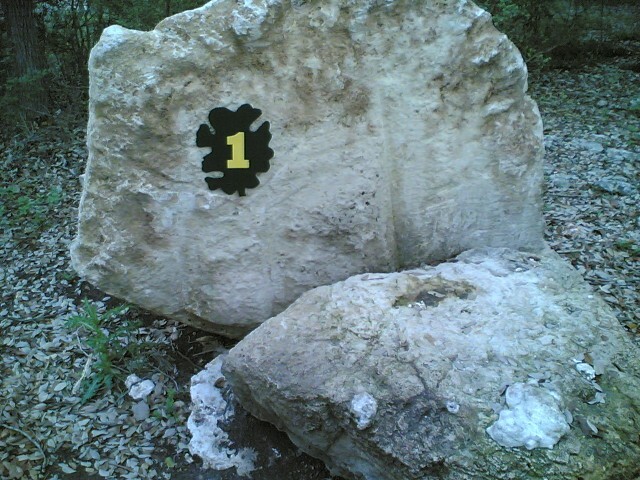 They installed small numbered signs on the rocks next to each tee. I guess they finally clued into the fact that people had taken some initiative and had wrote the numbers in magic markers on the rocks. I guess that blob is supposed to be an oak leaf? The next thing they need to do is to install concrete tee boxes. That would handle the erosion caused by the many people throwing discs during the year. Or, at least they should put some visible markers where the tee box is. 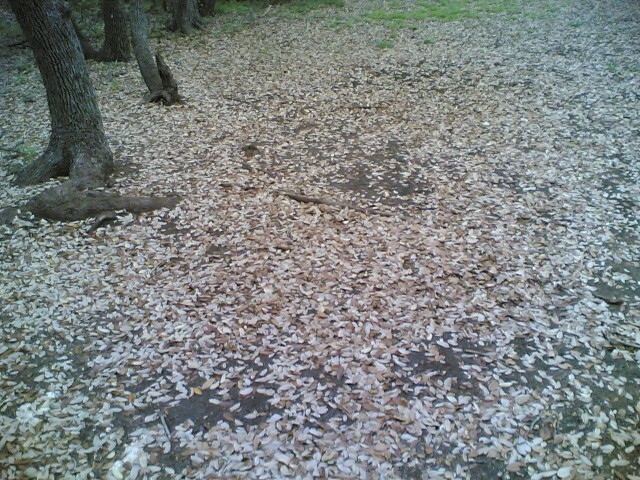 You can’t see anything in this field of dead oak leaves. Our group was doing well compared to the others. Adam, Mike, and myself were each doing our share in good throws. My best throw came on hole 11. Within putting range for sure! And were were able to make that birdie. Adam stepped up to the plate on the next hole and we were able to make back-to-back birdies. We finished four ahead of the other two teams. 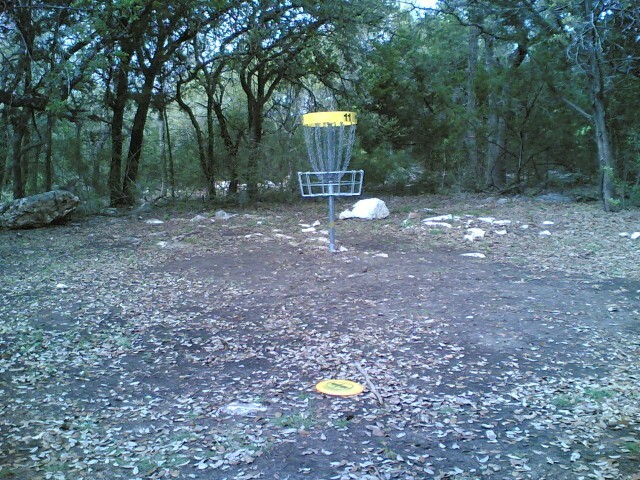 This entry was posted in Disc Golf on March 24, 2007 by Mark.